com·pro·mise -a settlement of differences by mutual concessions; an agreement reached by adjustment of conflicting or opposing claims, principles, etc., by reciprocal modification of demands. Hebrews 138Jesus Christ the same yesterday, and to day, and for ever. 9Be not carried about with divers and strange doctrines. 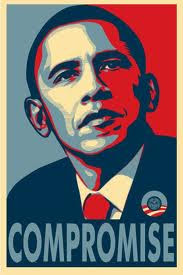 Compromise. It's killing our churches, it's destroying my generation. One by one I see people even that i went to bible college with, the one's that are supposed to be strong and rooted in the faith picked off by compromise. O i' ll still believe Acts 2:38 and speak in tongues but forget that whole standards thing. God is love so he'll love me inspite of my sin. I can wear pants cause the Bible didn't mean it when it said men dress like men and women dress like women. Forget my glory it's to much to deal with i think i' ll just cut it off. It's ok if i act like a flamboyant homosexual. God is love. Yeah but he hates sin, and homosexuality is an abomination unto Him. You go around with your girl pants and cross necklaces and think it's ok. You expect the Bible to fit your lifestyle and the way you want to live. It's all about me, me, me. It doesn't matter about the will of God and what he wants in my life, I want to do my own thing. You go right ahead and see where you end up. Just because God hasn't dealt with you yet doesn't mean he has forgot about the sin your living in. 2 Peter 33Knowing this first, that there shall come in the last days scoffers, walking after their own lusts, 4And saying, Where is the promise of his coming? for since the fathers fell asleep, all things continue as they were from the beginning of the creation. 5For this they willingly are ignorant of, that by the word of God the heavens were of old, and the earth standing out of the water and in the water: 6Whereby the world that then was, being overflowed with water, perished: 7But the heavens and the earth, which are now, by the same word are kept in store, reserved unto fire against the day of judgment and perdition of ungodly men. Regardless of what you think, God is coming back to judge the unrighteous. If you compromise and don't repent, your in danger of hell fire. That's the bottom line. You better check your heart and your motives before he returns. Is money really that important? Is fame that important to you? If so go sell your soul to the devil quit bringing your trash into the church. It's better to be hot or cold then luke warm. Genesis 65And God saw that the wickedness of man was great in the earth, and that every imagination of the thoughts of his heart was only evil continually.